Preventing burglary is a priority for many home owners and security lighting can be highly effective in protecting your home against intruders. With more than two decades of experience in installing home security lighting, AC Electrical Services can create a bespoke solution to improve the security of your property. We will work closely with you to find out your requirements and what will be most effective for you. This may be a system of lighting that is activated when movement is detected, one that is activated automatically at timed intervals or another solution. This, used alongside CCTV and/or an alarm system, can be highly effective in deterring intruders and giving you valuable peace of mind. 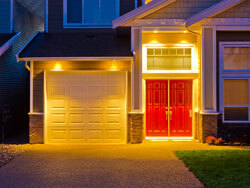 Talk to a friendly expert about your security lighting requirements.